If you are after illustrations that you can legally use to print on t-shirts (as well as hats, mugs, mouse pads or anything else you could possibly think of), then today is your lucky day. I’m going to show you exactly where you can buy stock images for commercial use that comes with an Extended License and explain to you why that Extended License is just so important! Stock vectors and illustrations are extremely cheap and useful, you can customise them or use them in a bigger design saving you the time it would make to create it all from scratch, and saving you money by helping you finish your work quicker, making more time for more clients! It’s an easy, quick and cost-effective way to make money by mixing up your creativity with the creative streaks of thousands of others who make their work available every day through online marketplaces. Here's more ideas on how to make money from your designs using vectors. Read on to find out more about stock images for resale and where to get some awesome vectors and illustrations for your next t-shirt designs! There is a plethora of marketplaces online with libraries so huge they make my hard drive cry, so, choice is never really the issue when it comes to picking out vectors or illustrations for your projects. Finding a marketplace where you can buy stock images for commercial use however, that can be a little more troublesome. At most Stock Agencies, you’re going to find that vectors and illustrations come under a Standard Royalty Free License. These standard licenses allow both commercial and personal (as well as editorial) use of the licensed content, but the commercial purpose is limited to marketing, branding and promotion efforts. Standard license forbids to use stock vectors in custom prints for resale, and limits the amount of copies or reproductions you can make as well. 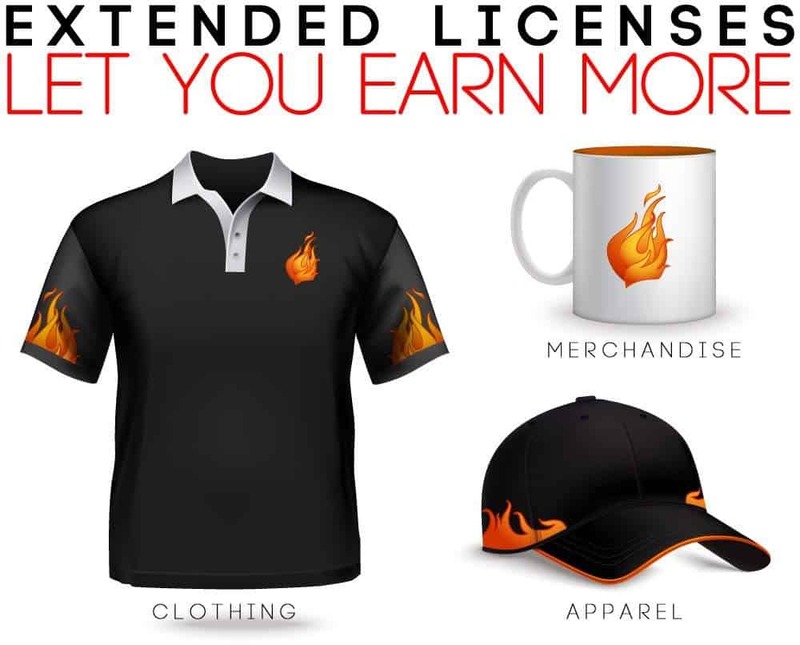 If you want vectors to use in a design for a t-shirt, mug or any other custom print item for massive distribution, what you need is an Extended license. These are normally a little more expensive but not only free you from reproduction limits, but open the door to commercial use too! That's right. With an Extended license you pay for the vector once, and you get the right to use it in unlimited copies and in products for resale, forever. Here Is Where You Can Buy Stock Images For Commercial Use! Take a look at some of our favourite Stock Agencies, all of which offer both Standard and Extended Licenses. However, please remember to give any license a good read before you agree to it. Each site is different and it’s better to be safe than sorry! Specifically designed for small and medium sized businesses, the SPS Shop is one of the best our favourite resources as all of images are approved for commercial use and with an always expanding library consisting of over 4 million images including vectors, you are never short on choice. And now you can use any of these vectors in products for resale with the new, crazy low priced Extended License packs. Starting at just one image, these packs are prepaid and have no expiration date, letting you save a lot in the long run! They come with some of the lowest price points in the market, and if you're already a customer on one of the monthly or annual plans (Or the fantastic 99club), you'll bag yourself a huge 50% off! These are by far the cheapest deals in images for commercial use! SPS Shop is idea to find vectors for your projects at budget-friendly cost. Visit SPS Shop today and buy your Extended License pack! Describing themselves as simple, elegant and user friendly, Shutterstock has a long history buying and selling stock illustrations. Their massive library with over 100 million images includes all kind of vectors covering the most varied topics and styles. Being a reputable agency, amongst the leaders of the stock imagery market and with over a decade in business, Shutterstock is not only a cheap resource for stock vectors for commercial use, it is also a reliable provider for your business. Go to Shutterstock now to start downloading awesome stock images for commercial use cheap! And at VectorGuru you can save even more with our awesome Shutterstock Coupon Code with up to 20% off in your purchase! As a designer you are no stranger to the name of Adobe, the design software giant. But did you know they have their own stock imagery service? It's called Adobe Stock, and it brings a massive image bank right into Creative Cloud platform, making for a very seamless workflow when using stock vectors in your work. Adobe Stock has over 60 million images in their library, and they're available for commercial use. Their Extended License option enables you to use any vector from their collection in products for resale, to profit directly from your awesome work. They sell Extended Licenses with a very simple structure, per image and paying as you go. Each Extended License has a cost of $79,99. Affordable, and easy. And having millions of professional vectors to choose from, available right within your favourite design apps, it's certainly a very good deal. Visit Adobe Stock now and explore their awesome vectors for commercial use! And seize our Adobe Stock Coupon to get 10 Free Adobe Stock Downloads here! Make Money Licensing Images for Commercial Use! At any of the above listed stock agencies you will find awesome vector illustrations ready to be part of your designs, and to be sold as custom prints, at very low prices. 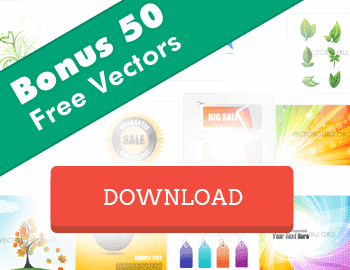 Stock vectors for commercial use let you not only save time and effort in developing your creative ideas, but they also provide a cost-effective and very simple way to complete them and start making money from your designs. SPS Shop is by far the best deal in Extended Licenses around, giving you Royalty Free images for commercial use at insanely low prices. Try SPS Shop now!